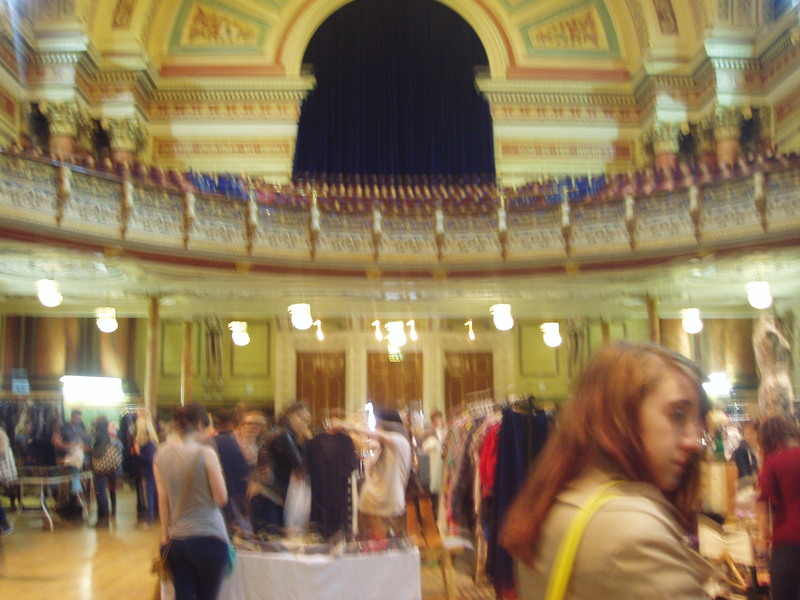 Lou Lou’s Vintage fair graced Leeds town hall on the 27th April expelling a variety of vintage goods throughout its perfectly chosen venue at Leeds Town Hall. The event filled this beautiful Victorian building with two floors of ultimate vintage nick nacks. Lou Lou’s Vintage Fair welcomes all types of people of all ages. With an entrance fee of only two pounds for adult, while kids under ten go free. 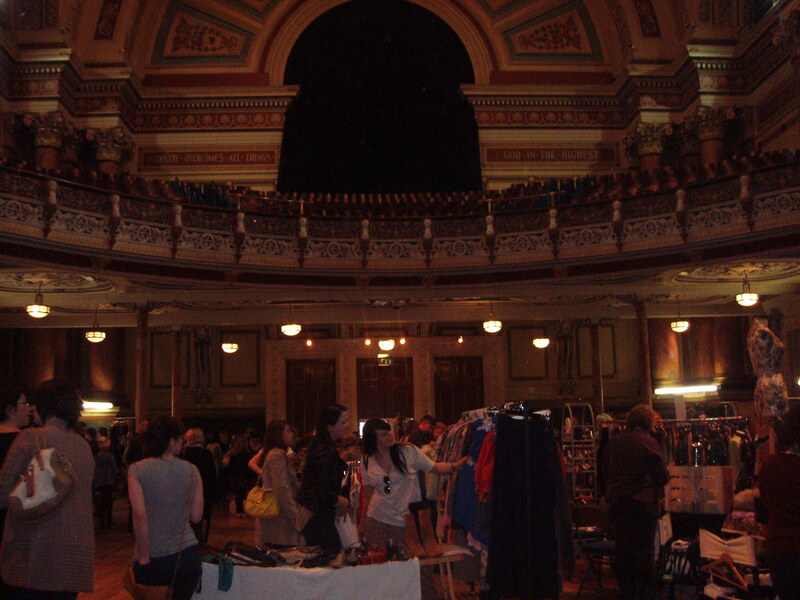 It is one of the best, larges and leading Vintage fair in Britain. At the door I was welcomed by lots of friendly Vintage fans dressed in their best 50’s eclectic styled clothes, who also fashioned impressive bouffant hair do’s and pinup styled makeup. 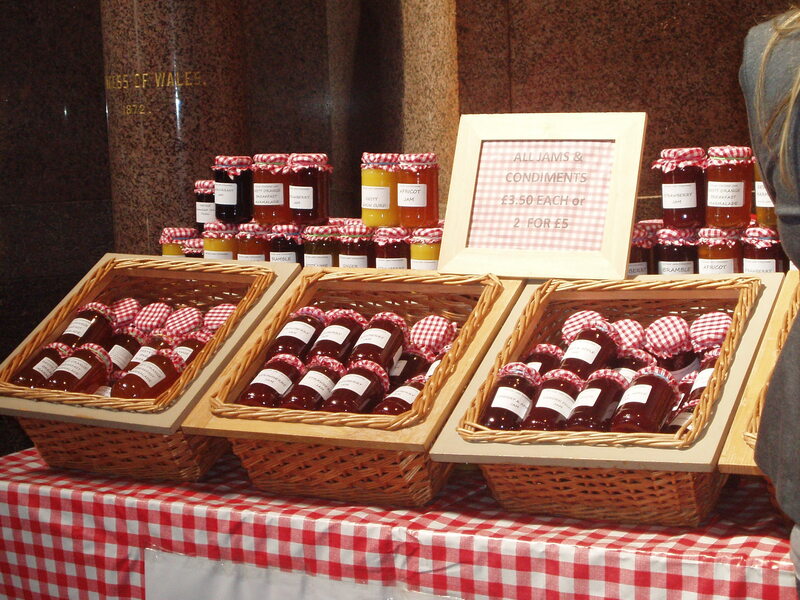 I was immediately offered to try some of their extremely moreish homemade jams and spreads. As I went into Leeds’ famous spacious hall I was in awe of each individual stall offering a wide range of nostalgic treats and treasures from the not so distant past. The fair sold everything from homemade soap and Jams to all you’ve ever wanted in Vintage clothes, shoes and bags and my all time favourite, Vinyl records. Downstairs collated one of the best highlights and my favourite main attraction of the fair, a traditional styled tea room with service from more vintage pinups, tea waitresses. 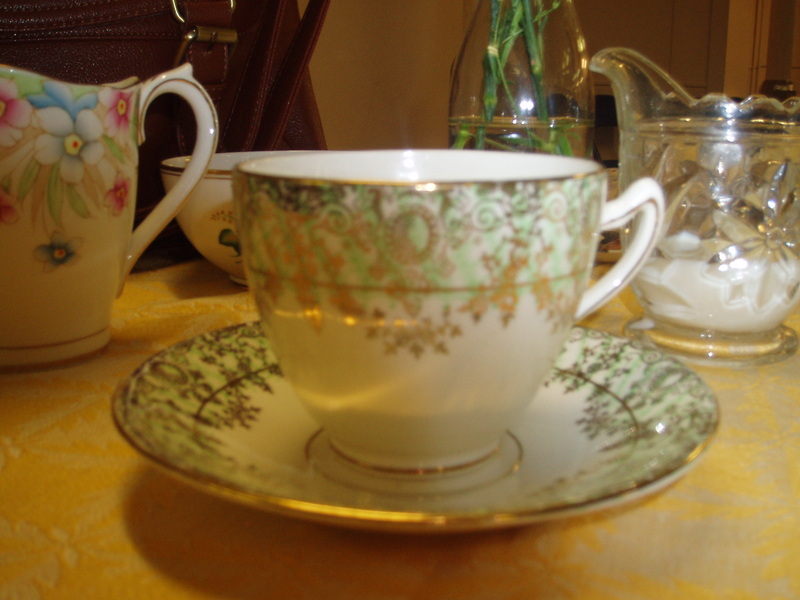 The Tea room included glamorous vintage teacups (like the gorgeous one I was presented with, below). As well as luxury home make cakes, that would make any cake lover melt just at the sight of their cake stands. 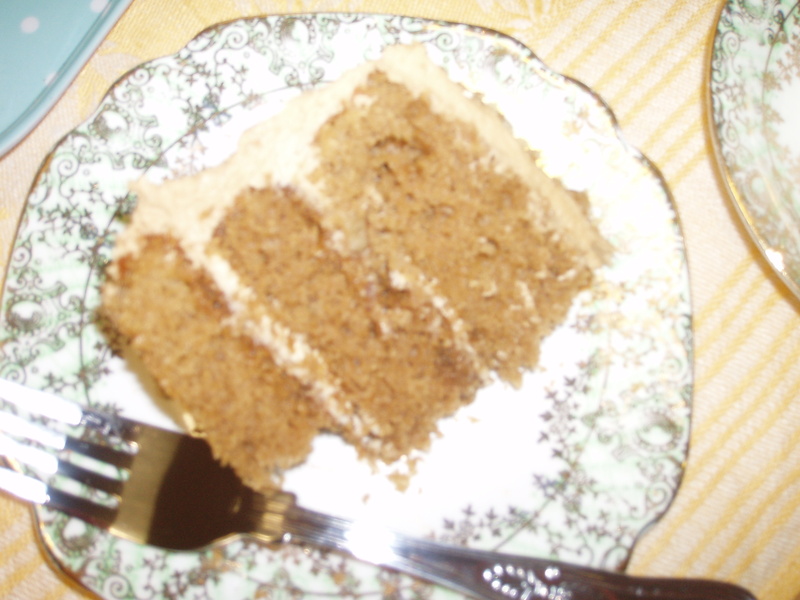 After purchasing a reasonably priced cup of tea and a large slice of coffee and walnut cake I was given a free tea top up at any point which I gladly took after I scoffed down the rest of my luscious cake. I just wish that there were free cake refills! 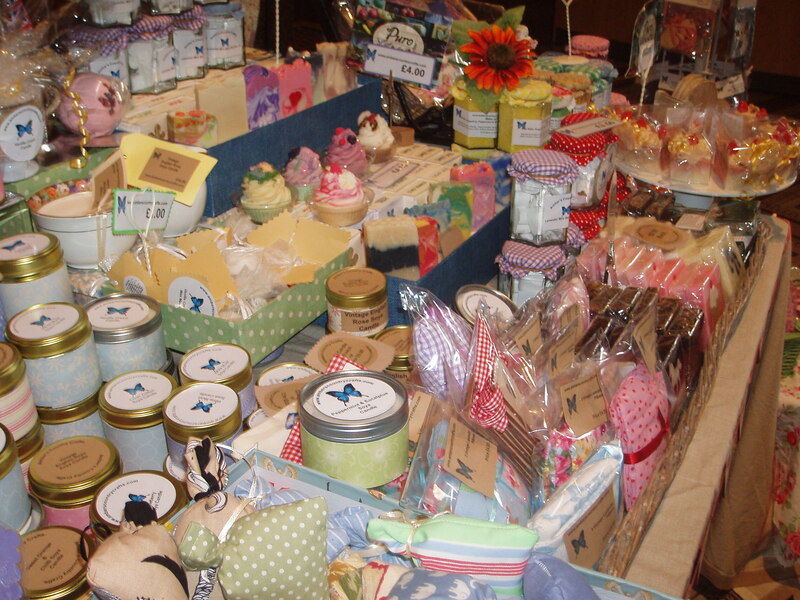 Lou Lou’s Vintage fair is a fabulous day out for all the family, as there is literally something for everyone. I went with my three cousin whose ages range widely from 26 to 4. We all had a fabulous time looking at all the different types of clothes from various eras including 50s, 60s, 70s, 80 and 90s. I felt as well as my eldest cousin a wave of humbling nostalgia looking through the clothes, vinyl records and random ordainments and nick nacks from yesteryear. Unfortunately I didn’t find anything that I wanted clothes wise but hopefully next time I can uncover some treasure trove to vintage dresses. I would wholeheartedly recommend this event to all , especially vintage fans as this is a day to remember, especially the tea rooms and their fabulous cake selection.